Increasing numbers of people involved in personal transformation are experiencing spiritual emergencies. Unfortunately, much of modern psychiatry has failed to distinguish these episodes from mental illness. As a result, transformational crises are often suppressed by routine psychiatric care, medication, and even institutionalization. 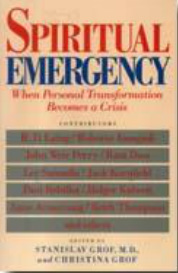 In this book, foremost psychologists, psychiatrists, and spiritual teachers address the following questions: What is spiritual emergency? What is the relationship between spirituality, "madness," and healing?